What I’m reading: Major Pettigrew’s Last Stand (Random House, 368 pp., $16, paperback). What it is: A gently satirical romantic comedy about the relationship between Ernest Pettigrew, a retired British Army officer, and Jasmina Ali, a shopkeeper of Pakistani ancestry in his English village. The two friends’ first names betoken their roles in the novel: Major Pettigrew is earnest and proper; Mrs. Ali is the exotic flower in town. 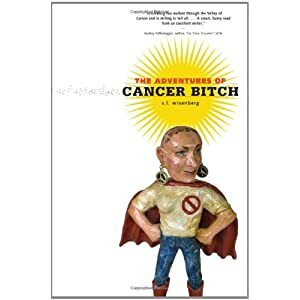 Why I’m reading it: My book club is reading it. How much I’ve read: More than half. Furthermore: Janet Maslin reviewed Major Pettigrew’s Last Stand favorably in the New York Times. 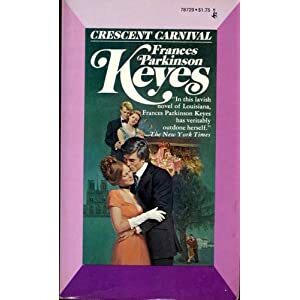 What I’m reading: Crescent Carnival, a 1942 novel by Frances Parkinson Keyes, best known for Dinner at Antoine’s. What it is: A saga of two prominent New Orleans families and the Mardi Gras balls and other rituals that defined their lives between 1890 and 1940. Keyes drew in part on the recollections of her friend Dorothy Selden Spencer, a former Carnival queen. Why I’m reading it: Few novels focus on Mardi Grass celebrations and how they preserved the distinctions of social class in New Orleans even as such differences were fading elsewhere. Crescent Carnival is one that you can still find without too much trouble in libraries and online. How much I’ve read: About 150 pages of more than 800. Quotes from the book: “Estelle always loved Carnival and the preparations for it. But she grew up without daring to dream that some day she, herself, would be the Queen of one of the Carnival Balls. She did not believe it even when she heard that Monsieur Leroux, who held the fate of all potential queens firmly in his hands, had spoken formally to her father, asking if he could conveniently be received on a certain day at a certain hour in the Lenoir’s house on Royal Street. Furthermore: Jonathan Yardley of the Washington Post said that Keyes was a “middlebrow” novelist in the sense that she “wrote for readers of some education and taste who expected their entertainments to be literate and intelligent as well as entertaining.” Based on what I’ve read, that gets it exactly right: Crescent Carnival is, by today’s standards, a potboiler, but one that reflects higher standards than most now labeled as such. 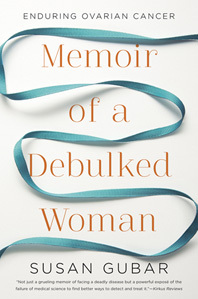 A journalist by instinct if not by training, Keyes shows a Tom Wolfean attention to the details of social status that evoke the eras she describes. You can follow Jan on Twitter by clicking on the “Follow” button a right. What it is: A 2011 poetry collection that includes haibun, a Japanese form that intersperses prose and haiku or haiku-like verse, often in a travel diary or journal. Core Samples from the World has poems about Chile, Mexico, China and Bosnia-Herzegovina. Why I’m reading it: I like haiku, and the book combines haibun with impressionistic black-and-white photographs. Haibun seems a fine metaphor for life: You have take a lot of prose to get a little poetry. Furthermore: Core Samples from the World was a finalist for the most recent National Book Critics Circle award for poetry, given on Thursday to Laura Kasischke’s Space, in Chains. Read an excerpt from Core Samples from the World.